Are You Backing Up Correctly? The 31st of March is World Backup day and it’s a great time to check your backup or put a backup in place. Businesses lose huge amounts of data every day, purely because ‘backing up’ is stuck at the bottom of their to-do list. So this is your reminder, that even if you only do this once a year when the calendar tells you to make it happen now! But how? What is the easiest, most effective way for your business to backup? 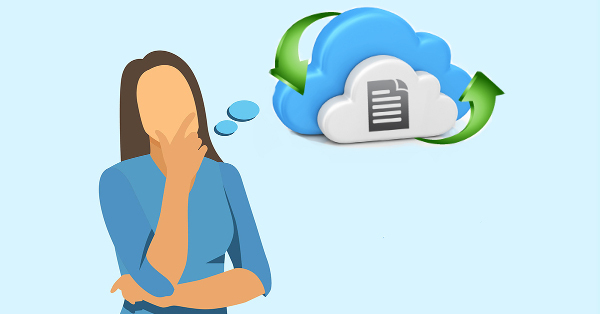 You’ve probably heard of file backup by a number of names: Cloud Sync, Cloud Backup or Cloud Storage. They’re all similar enough to be confusing and meaningless enough to be anything. Here’s what they mean and which one you need today. Google Drive, Dropbox, iCloud, etc are services that sync up with a single folder on your computer. They mirror it. When a file changes in one, the sync service rushes to change it on your other computers too, so they are always the same. Cloud Sync services are hugely flexible for remote employees or for those squeezing in a few quick tasks while riding the train to work. They are ridiculously easy to use, require no training, and the free tiers are enough for most small businesses and individuals. This all sounds amazing, right? Except…when things go wrong, they go wrong big time! Accidentally deleting a file means it disappears from the Cloud Sync drive and your other computers – almost immediately. Overwriting a file does the same thing, and if an employee edits the wrong file, then those edits are there to stay. If disaster strikes and your local copy becomes corrupted (or ransomed), well you guessed it, the corruption is uploaded too. While some Cloud Sync services now offer a 30 day backup option, you may not notice the file was missing within this time frame. Cloud Sync services are fantastic for productivity and accessing files on the go, but they simply can’t be relied on as your backup tech. Amazon S3, Microsoft Azure, etc are massive buildings full of storage drives that work just like your local hard drive but you access them securely via the internet. In fact, when you use a cloud sync app like Dropbox, they’re actually sending your data to one of these locations. While the sync services have a constant back and forth connection between the storage center and your folder, and as explained above aren’t good for backup, you have another option. You can access cloud storage on a per/GB basis yourself and upload your entire backup as desired. It won’t update with changes on your local network, but it will be safe from disaster. When you need to retrieve a file, you simply login and download it. Your backed up data is secure, protected against disaster, and always available to you. However, because it relies on you or your employee to handle the backup plan and manually take care of the uploads, this is a high-risk solution. Unless your employee is scouring your network each day/week/month for changes to files and uploading them with fervent dedication, chances are this plan won’t work. We recommend an automated or outsourced solution so you can get on with business AND also be protected. Carbonite, Soonr, Crashplan, etc might not be names you’ve heard before, but they work in the background to monitor changes to files on your computer or network and make sure you’re backed up. You can roll back individual files or whole drives, and even select from earlier backups, not just one. Like sync services, they use cloud storage centers with extra-high security and redundancy so that your data is always there when you need it. Even better, neither you nor your employees need to worry about when it was last done. Let’s take a moment to talk planning. We recommend starting with the 3-2-1 strategy. This means having 3 copies in total, 2 of them locally such as on your computer and an external drive, and another offsite in the cloud. Using this strategy keeps your business operating when data disasters occur and is an investment in your uptime. We can help get you set up with the 3-2-1 method, including selecting the best cloud service for your needs. If you’re looking for a more scalable, cost-effective solution that gives the utmost peace of mind, ask about our managed backups service. Need help with your backup then call us at 08 8326 4364 or support@dpcomputing.com.au. Fifteen years after the Internet world united to crack down on spam emails, we are all still struggling with overloaded inboxes. All that unwanted email continues to flood the internet, much of it targeted towards small businesses and the impact goes wider than you might think. Here’s the breakdown of how modern spam works and how it is hurting your business. Spam is any unwanted message that lands in your email, comes via text, social media messaging or any other communication platform. It might be sent to your main business account, eg your ‘contact us’ email or directed to your employees. Most of the time, spam are annoying but relatively innocent messages from another business inviting you to buy, do or see something. They are newsletters, reminders, invitations, sales pitches, etc. You may know the sender and have a previous relationship with them or they might be a complete stranger. Spam may even be part of a cyber attack. Why you are getting spammed. Maybe you or your employee signed up for a newsletter or bought a raffle ticket to win a car. Perhaps you got onto the mailing list accidentally after enquiring about a product, not knowing that simply getting a brochure sent through would trigger a spam avalanche. Often there is fine print that says they’ll not only use your details to send you their marketing, but they’ll share your details with 3rd parties so that they can send you messages too. That single email address can be passed around the internet like wildfire and before you know it, you are buried under spam. Sometimes your details are found through a hacked website, like the recent LinkedIn leak. More often though, your email is simply collected by a computer ‘scraping’ the internet – scouring forums and websites for plain text or linked emails and selling them to spammers. It is easy to see now, how individual office employees receive an average of 120 emails daily, over half of which are spam! We all know spam is annoying but did you know it’s also consuming business resources? Your employees are spending hours each week sorting their email, assessing each one for relevance and deleting the spam. 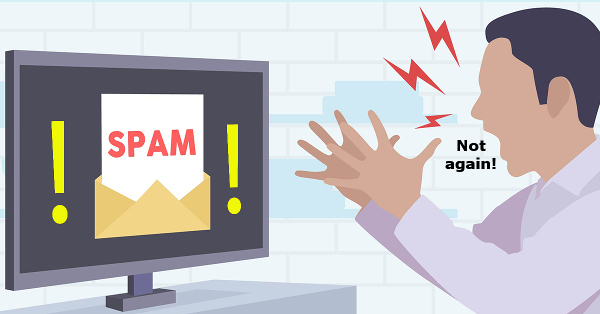 Your email servers along with your Internet links are getting clogged with the spam flowing into your business. Too often, legitimate emails from clients and customers get caught up and are accidentally deleted. Plus the temptation to read the more interesting spam emails and productivity drops to zero. On the other side of the business, your email server might be dedicating storage and processing power to spam emails, occasionally to the point where inboxes get full and real mail is bouncing out. While most spam is simply an unwanted newsletter or sale notice, there is also the risk that any links may be a cyber-attack in disguise. Remember one click can open the door to viruses, ransomware, phishing or other security issues which a hacker can then take advantage of. How to stop the spam? Take control of your email and talk to us about your anti-spam protections. Call us at 08 8326 4364 or support@dpcomputing.com.au. You’re always up to date. It seems like every other day there is some new and urgent update waiting to be installed. Whether they are patching security flaws or adding new features they seem endless. Even if the updates install automatically, they tend to do it at the worst possible moment and do you actually know if it will break something else in your system?. 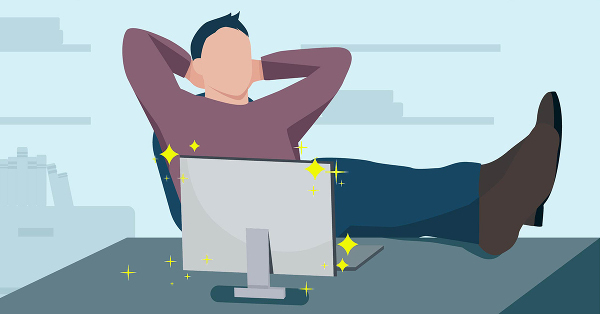 Using our special managed services software, we can make sure your computer’s updates are all finished and done – before you sit down to use it. As part of our service, we also make sure all updates are compatible not just with your hardware, but also with your other software. After all, updates are supposed to make you computers more secure and more enjoyable! You’ve got super anti-virus. The best anti-virus is the one that’s up-to-date and running, yet you’d be surprised how many people switch it off, never let it update and / or let the subscription expire. While you might be in the habit of scanning files and browsing safely, others in your office might not have the same priorities. Having managed services ensures your anti-virus is always running and dealing with any viruses it finds. As soon as a new virus becomes known, we make sure your system is actively protected against it. We can also monitor for cyber-attacks and alert you before they become a problem. Your hardware stays healthy. 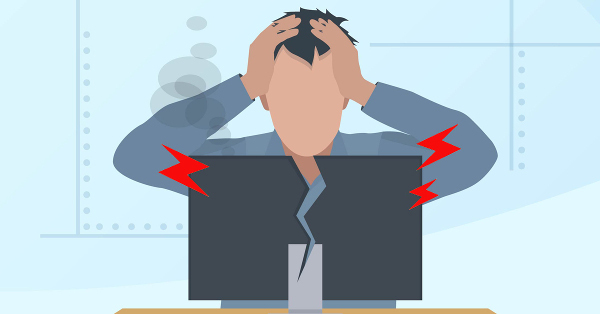 While a reactive person is always stuck without a computer when hardware fails, proactive people with managed services have already had the problem fixed. Our special software monitors the health of your hardware, eg, your hard drive, looking for early warning signs of failure. If detected, we can let you know in advance. This means you’re able to get it repaired at your convenience, making sure no files are lost and no other hardware is damaged in the failure. You never miss a backup. The worst part of a crash isn’t the financial cost, it’s losing your data forever. Whether it is a report you have just created, a recipe handed down for generations or a novel you’ve been working on for longer than you’d care to admit, managed services ensures your backups are working correctly. Backed up files are ready to go when you are, and losing files to corruption, failure or theft is a thing of the past. Support is a call away. Just got a new printer and it won’t play nice? Got a weird error popping up? Your laptop won’t talk to the wifi? Our remote support team can help with whatever technology issue has been annoying you and wasting your time. No nonsense advice is just a phone call away, and our team can remotely connect to diagnose and fix any problems. This means you can likely skip the cord shuffle and carting your computer into the shop and get your most pressing computer issues fixed fast. Put computer problems behind you – get managed services today. Call us at 08 8326 4364 or at support@dpcomputing.com.au. It is running slow. Most people assume their computer is running slow because it’s getting old but it could actually be a variety of reasons. A program behaving badly, a virus, the system overheating or even a failing hard drive can all cause slow downs. You might only notice it when booting or when starting a program, or the problem may have taken hold to the extent that even the simplest take forever to complete. Your system is running hot. Computers have fans that blow out hot air (to cool off internal components) while at the same time drawing in fresh air through vents to create an effective cooling system. Unfortunately the vents in a computer can quickly become clogged with dust and choke off the air circulation – leaving the components to overheat. Desktop computers have more space inside to circulate air, but you’ll still need to keep their vents clear. You’ll know your computer running too hot if your system shuts down frequently (safety cutout), the fan is working loud and working hard or your laptop is too hot to use on your lap. Blue Screen of Death. A classic Windows error, this is quite literally a blue screen that covers your view. The system will still be running, but something has gone wrong. You’ll be shown some text and an error code, often with Windows suggesting a restart. If a restart fixes your problem, perhaps something didn’t load properly at bootup and your computer had a one off issue. If you’re getting blue screens all the time though that is a sign of a hardware or software problem that needs to be resolved. Your computer will continue to give blue screen errors more and more frequently, so it’s best to take action as soon as you know something’s wrong. It’s making strange noises. Computers has a number of moving parts inside. You’ll know by now what noises it normally makes, from the startup beep to the whirring fan. It is when your computer starts to make extra noises that a problem may exist. Fans can wear down and screech or grind, hard drives can start clicking, and in emergency cases, you might even hear a zapping noise. Remember that the individual parts inside the computer parts are all designed to work together and one problem could quickly spread if left unchecked. It crashes and freezes. If your computer is crashing randomly, restarting at will or freezing up completely, it is a sure sign there is a problem. As annoying as it might be, your computer isn’t doing this to drive you crazy! You might notice it is showing other signs from this list too because crashing and freezing are what happens when something isn’t just wrong, it is terribly wrong. The problem could be almost anything, hardware and software both, but usually it is always fixable. This is simply your computer’s final way of crying out for repair, desperately trying to get your attention and a little TLC. Is your computer doing these things? Let us fix it for you. Call us at 08 8326 4364 or at support@dpcomputing.com.au. Thanks to our partners at Bigger Brains we are pleased to offer your access to their Windows 10 series of courses. Click below to access the complete Windows 10 Training Series of 8 modules. If you have any questions please let me know.